Use JMP to monitor tests in real time to quickly identify and analyze anomalies. 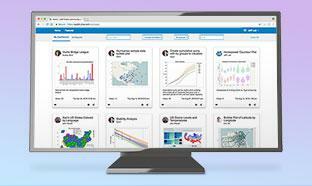 Display analysis results visually with interactive graphs. 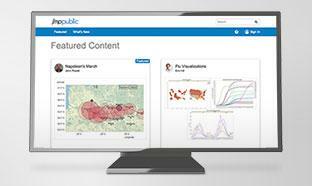 Work in real time, with a swift transition from visualization to analysis. Improve dialogue with industrial partners. Who said France is short on innovation? The Laboratory for Innovation in New Energy Technologies, or LITEN, is one of Europe’s largest centers for research into new energy technologies. This fastgrowing research institute is one of four innovation centers in Grenoble on the campus of the CEA, the French Alternative Energies and Atomic Energy Commission. The PICTIC platform in Grenoble develops new printing technologies for electronic components on flexible surfaces (plastic, paper, textiles, etc.) using inks containing organic materials, including polymers and/or nanomaterials such as silver nanowires instead of the traditional silicon. Potential applications are incredibly varied, ranging from flexible screens to medical biosensors, intelligent packaging and an X-ray plate that can bend to mirror the shape of a fractured arm. “Organic materials enable us to produce electronic components on large, conformable surfaces,” explains Amélie Revaux, head of the Printed Organic Component Characterization and Aging laboratory. Mapping performance on a plate. Each point corresponds to a component.  Overall, the platform has around 50 researchers who are paving the way for innovations to connect the world and intelligent objects of the future. Some of the research is still experimental, focusing on devising and optimizing new processes. Other research, carried out in close conjunction with industrial partners, is nearing the technology transfer phase. It is at this stage that JMP® statistical discovery software from SAS enables Revaux’s team to save precious time. But let’s not get ahead of ourselves. When the PICTIC platform was established in 2012, the research was still very experimental and did not involve extensive statistical analysis. Researchers carried out their experimental designs manually and worked on Excel macros. But as the technologies matured, the volume of data increased. As technology transfer to industrial partners approached, it became necessary to work on runs of thousands of components to test their performance under all possible conditions. 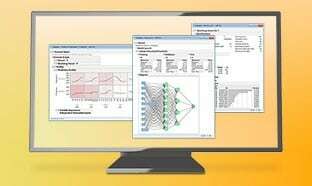 A more powerful statistical tool than conventional spreadsheets became essential. Reliability testing represents a crucial stage in innovation. In the case of PICTIC, this means testing the performance of runs of thousands of components and following their performance over a monthlong period, taking readings every hour – which means a thousand readings for every test. 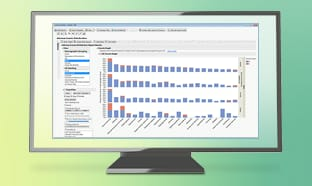 A conventional spreadsheet would struggle to handle such high volumes of data, particularly since several reliability runs are carried out in parallel for the same application, varying the conditions of use. Monitoring the performance of the reference plates from the PICTIC platform: statistics of 1,000 components per plate. “Excel can draw a graph with 1,000 points,” explains Revaux. “But it can’t easily compare different reliability runs with each other.” That is a significant deficit, since it is often by comparing runs that it becomes possible to move the research forward. Monitoring results in real time also makes it possible to split reliability testing into different phases, and therefore learn more from the tests. 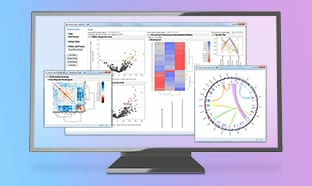 The icing on the cake is that by providing access to numerous parameters via interactive graphs, JMP makes it easier to identify correlations between various parameters that researchers would not otherwise have thought to compare. Thus, JMP fosters statistical discovery by sometimes revealing important information that no one was looking for. JMP software’s graphic interface also saves laboratory researchers valuable time in the day-to-day task of formatting data. Where Revaux and her team earlier might have spent a day “drawing graphs” to produce a visual representation of their reliability runs to compare the results, they now need just an hour, allowing much more time for analysis and research. Extraction of printed parameters for thin-film transistors and changes over time. Researchers can swap tips about using JMP or consult with others within the CEA, which hosted the annual JMP users day in Grenoble in 2014. 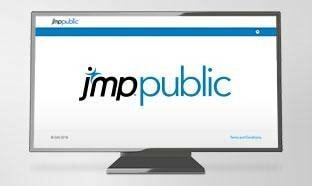 JMP’s advisers are “very responsive,” according to Revaux, and are also available to demonstrate additional capabilities. As their research reaches the critical technology transfer phase, members of Revaux’s team will be exploring the laws of acceleration to test reliability over 15 years. Upstream, the PICTIC teams could also adapt JMP functionalities for the experimental design of future applications, paving the way for more and more innovations. 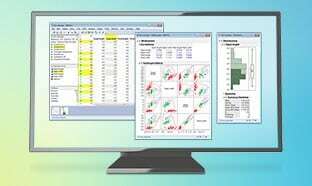 JMP® fosters statistical discovery by sometimes revealing important information that no one was looking for.